Larry Elliot (Comment, 18 June) misses the major problem that caused both this crisis and the Great Depression – an excessive and unsustainable rise in private sector debt as a result of excessive growth in commercial bank lending. This resulted in an asset price bubble that has burst and is being followed by necessary attempts by the private sector to increase their savings to pay off their debts. This has lead to contraction of the money supply and collapse of demand. The real crisis is the failure to understand this core of the problem, and that the solution, as with the Great Depression, is to reverse the contraction in the money supply and collapse in demand through deficit spending supported by central banks. Only by running public sector deficits can demand be restored and private debt levels decreased. Misguided attempts to cut deficit spending while the private sector is trying to reduce their debts are doomed. The problem cannot be solved by improving competitiveness and thus increasing exports. We cannot all increase our exports and decrease our imports simultaneously. Attempts to do so will simply encourage protectionism. • Only the bankers of the money-markets and the wealthy benefit from this austerity. 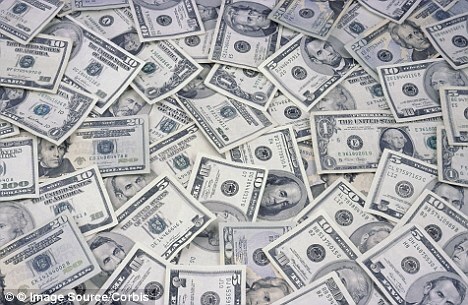 Let's remember that money in the form of paper or credit is only a way to harness the energies and skills of a people by paying it as wages or salaries to provide the goods and services a nation needs – food, clothing, housing and the staffing of factories, schools, hospitals and so on - a sort of lubricant for society to enable it to function. To take away much of it will make things to grind to a halt, needlessly and pointlessly. The bankers gambled away vast amounts of the nations' money supply without any apparent benefit to the economies of Europe and America; governments should replace this lost treasure by printing money or providing credit and distributing it directly, via small businesses and government projects, to workers as wages and salaries, without giving it to the banks, which so far have only sat on whatever has been provided or reluctantly parted with it at high interest rates. Printing and distributing money like this would no doubt evoke cries of "inflation" from economists and politicians (who know nothing and have learned nothing) – but so what? There has always been some inflation in capitalist societies – look at the price of bread or of housing over the past 50 years. The money held by banks and the wealthy may then lose some of its buying power, but it would be fair to let them suffer a bit of austerity instead of passing it on to the workers. But the eurozone's bankers have a stranglehold on governments and are unlikely to let them do anything to help the people out of this austerity trap – even if right-wing governments wanted to – if they might lose the chance of making a fat profit. • Does anyone else think the proposed £80bn to be given to British banks on the alleged condition they "pass it on to businesses and households in the form of cheaper loans and mortgages" is simply another government bail-out for a failed and failing banking system? This seems to be another £80bn to throw down the black hole where the other £800bn went at a time when people get jittery at Spain for requesting £100bn. If the government was serious about helping smaller businesses, surely a grant system would make better sense that throwing more money at banks where it, if past history is any indication, will merely be used for bonuses or to benefit shareholders. • Why is the government lending the banks more money at a special low rate so that the banks can lend it at a higher rate to the business sector to stimulate growth and thus make extra profit? Why not cut out the middleman and have the government lend it directly to those who want help? I recently heard Professor Steve Keen explaining the weakness of the whole system or, as he put it, the whole ponzi banking system. The results of the Federation of Small Business's latest Voice of Small Business Index are not altogether surprising (Squeeze on small firms tightens, 18 June). 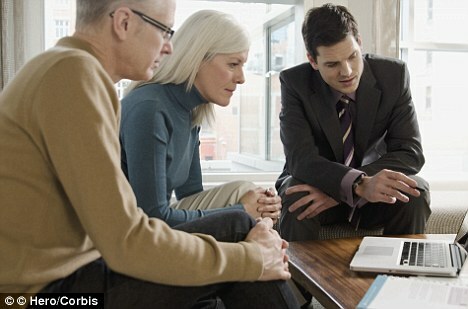 SMEs want to grow and banks say they want to lend, yet credit still appears to be unavailable. This is not entirely the fault of the banks. They are increasingly constrained by stringent regulation and the effects of the eurozone crisis as well as a depressed demand for any type of finance, caused by negative reports that it is unavailable. The government's conflicting messages of "batten down the hatches" and "invest to boost business growth" are simply incompatible, and SMEs are rendered immobile, not sure where to turn. • There is little reason to believe that merely injecting money into the banks will do much to shake the grip of the recession. So far the most notable investment made by the effectively state-owned Royal Bank of Scotland was to finance Kraft's heavily leveraged takeover of Cadbury's. Predictably the deal resulted in both direct and indirect job losses as labour was shaken out to pay for it. At one stroke tax-payers became social security claimants with no perceptible benefit to the real economy of the UK, and British taxpayers, including those rendered unemployed, financed it. There is a sublime lunacy in this misuse of resources and we are about to see more of the same. Plans to give the new City watchdog beefed up powers to ban and fine disgraced former bankers blamed for the worst financial crisis in living memory are expected by the end of the month. The news will offer hope to millions who have suffered as a direct result of the crash and want the executives at banks bailed out with billions of pounds in taxpayers’ money to be held to account. The Treasury is expected to outline a series of measures, which could include enabling the Financial Conduct Authority – which will replace the Financial Services Authority next year – to ban former bank bosses for the reckless decisions which led to the near collapse of Northern Rock, Royal Bank of Scotland and HBOS. It follows the failure of the FSA to satisfy a thirst for justice, with just three disgraced former bank bosses hit with a ban since the collapse of Northern Rock in 2007. The proposals come as Business Secretary Vince Cable decides whether to go after the former bosses at Royal Bank of Scotland, which was bailed out with 45.5billion of taxpayers’ money in 2008. 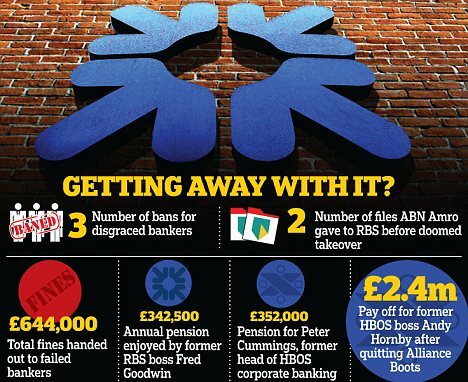 A report, prepared by lawyers on his instruction, is expected to find there is ‘prosecutable evidence’ against former RBS chief Fred Goodwin and his cohorts, including former investment bank boss chief Johnny Cameron. It is understood that Cable has yet to be presented with the legal advice, which is thought to contradict the verdict given by the FSA just six months earlier. Cable consulted lawyers after the regulator’s widely criticised report into the collapse of RBS in December, which ruled it could not take action against any of the bankers responsible for its demise, despite unearthing new details of their reckless decision-making. This included revelations about how the board rubber-stamped the disastrous takeover of basket case Dutch bank ABN Amro without conducting the proper checks. One memorable finding was that the information given to RBS by ABN Amro amounted to just ‘two lever arch folders and a CD’. But the regulator concluded there was ‘not sufficient evidence to bring enforcement actions which had reasonable chance of success in Tribunal or court proceedings’. Realising his decision would disappoint a bloodthirsty public, FSA chairman Lord Turner bemoaned the regulator’s lack of powers and promised to bolster them. Summarising these limitations, he said: ‘The fact that a bank failed does not make its management or board automatically liable to sanctions. He then unveiled plans to increase the regulator’s powers, including a ‘strict liability’ approach, whereby former bank bosses can be punished for poor decisions, not just breaching the FSA’s rules or breaking the law. Critics say reports that lawyers are telling the Government there is enough evidence to prosecute former RBS directors highlights the abject failure of the watchdog to hold those responsible for the crisis to account. Paul Moore, the former director at HBOS who blew the whistle on reckless lending practices, said: ‘It’s a scandal. ‘It is perfectly obvious the FSA should have taken enforcement action against key directors at RBS and HBOS. ‘In the RBS report it is also absolutely clear it took no independent legal advice as to whether action could be taken against former RBS directors. Almost five years after the collapse of Northern Rock, just three bankers have been fined and banned from working in the industry. Johnny Cameron, a key lieutenant of Goodwin at RBS, agreed not to take on another major role in the industry, thereby escaping further sanction. But the ban hasn’t stopped Cameron from enjoying a lucrative part-time consultancy role with investment banking specialists Gleacher Shacklock. David Baker, the former deputy chief executive of Northern Rock, was fined 504,000 and banned for misleading investors about the number of bad loans on its books. His colleague Richard Barclay was fined 140,000 and banned – also for failing to ensure accurate financial information. A clutch of other executives such as Goodwin and Peter Cummings, head of the reckless lending at HBOS which culminated in it being rescued by Lloyds in 2008, have escaped censure thus far. Some, such as former HBOS boss Andy Hornby have secured prominent City jobs. He is chief executive of bookmaker Coral, having quit Alliance Boots with a 2.4million pay off. 4.09pm: Welcome to the Breadline Britain Live Blog. Over the next few days online and in the paper the Guardian will be looking at the human impact of recession, benefits reform and cuts to public services. We are interested in how people are coping - or not coping - with the multiple challenges of dealing with the kinds of social and financial pressures not witnessed in this country for decades. This is the backdrop: incomes are plunging, while food prices (up 30.5% in the last five years) and utilities bills are soaring. Many households at the lower end of the income scale have been pummeled by job insecurity, benefit cuts and rising housing costs. Many are hamstrung by debt. We'll be looking very broadly at issues around work, housing, food, and health. We'll be hosting expert guests and featuring datablogs, reportage and commentary from Guardian journalists. We want you to contribute too: tell us your views and stories. Today, we are featuring in-work poverty: or how a low to middle income increasingly fails to keep up with the spiralling costs of living. My colleague Amelia Hill has been investigating a group of people our research suggests are on the financial "cliff edge": families which are in employment but finding it increasingly hard to make ends meet, and who find themselves at high risk of being pitched into poverty. Almost seven million working-age adults are living in extreme financial stress, one small push from penury, despite being in employment and largely independent of state support, according to the most comprehensive study of the finances of employed households, commissioned by the Guardian. Unlike the "squeezed middle", these 3.6m British households have little or no savings, nor equity in their homes, and struggle at the end of each month to feed themselves and their children adequately. They say they are unable to cope on their current incomes and have no assets to fall back on, leaving them vulnerable to something as simple as an unexpectedly large fuel bill. The findings challenge the argument made by the work and pensions secretary, Iain Duncan Smith, who last week said parents should get a job to ensure their children are not brought up in poverty. "These figures are a mega-indictment on the mantra of both political parties, that work is the route out of poverty," said Frank Field, the Labour MP for Birkenhead and former welfare minister who is now the coalition's poverty csar. "What's shocking about this is that these are people who want to work and are working but who, despite putting their faith in the politicians' mantra, find themselves in another cul de sac. Recent welfare cuts and policy changes make it difficult to advise these people where they should turn to get out of it: it really is genuinely shocking." Throughout this afternoon we'll be publishing more on this story, including the Experian data behind the story, and three powerful case studies in which working families on the financial brink talk about their lives. The three families are part of an ongoing project between the Guardian and Resolution Foundation. We'll be following the families' fortunes over the next 12 months. More on that later. 4.25pm: My colleague Simon Rogers has prepared some fascinating data on the rising costs of living in Breadline Britain, taking in food, housing, fuel, energy and transport. • Clothing & footwear: only went up by 0.2% between - but rose by 1.3% between the same two months a year ago. 4.39pm: So who are the 3.6m UK households most at risk of financial stress - and being pitched into poverty? They are proud to have a job and scorn welfare. They are grafters who are proud of doing the "right thing". They put their faith in the government's mantra that work pays. But "cliff-edge" households – perhaps as many as 3.6m in England alone – now find themselves teetering precariously on the brink of poverty. The "cliff-edgers" work in retail, the service sector, and in seasonal businesses like tourism. They run small firms, often as self-employed tradespeople. Household income is typically between £12,000 and £35,000. The boom times gave many of them modest visions of betterment and security; the recession has engulfed them in financial stress. Their lives have become testbeds of frugality and improvisation. Losing their job would be catastrophic. But even comparatively minor setbacks - a broken washing machine; a higher than expected gas bill – trigger a financial crisis. There's little sense of victimhood or self-pity, however. There's a profound ethos of personal responsibility, a determination to juggle and graft in the face of hardship. "Their whole ethos is about work; they don't want to end up on benefits or the dole," says Bruno Rost of Experian, the data company which carried out the detailed analysis of in-work poverty for the Guardian, including in-depth surveys of attitudes and behaviours, coupled with a wide range of quantitative data. But there's also a stressful awareness of the seemingly ever-shrinking gap that separates them from the slide into poverty and homelessness. Unlike the "squeezed middle", group, which is more likely to have assets to act as a buffer against misfortune, the cliff-edge is hugely exposed. Of course, this is a generalisation: but a broader point is that these households didn't expect to be on the cliff edge: they "played by the rules" (to quote the work and pensions secretary Iain Duncan Smith) and now many find that work at the lower end of the income spectrum isn't paying. 5.14pm: So which areas have most households at risk of financial stress and of slipping into poverty? We asked Experian, the data company, to help us and they came up with this table of UK local authority areas. We see that the cliff edge is not, generally, a predominantly urban or metropolitan phenomenon. It is seaside towns, and rural areas (north Devon, Western Isles); the south west (Torbay, Cornwall); the outer suburbs of London (Hounslow, Harrow). It shows that in 79 our of 406 areas, at least 20% of households are in danger of falling of the financial cliff edge. These didn't make a huge amount of sense when trying to understand why some areas came out higher than others. i.e. the SE and SW of England have few large concentrations of South Asian communities, or traditional industrial, areas - yet came out badly? What was the significance of these indicators, and why were these ones chosen? The way this map complicated the old North/South divide was fascinating, and the results rang true in areas I know, but the choice of indicators was curious. The answer, I think, is that some areas have different types of people at risk. The Mosaic system used by Experian sorts people into eight types who fall into the "at risk" category. On Tuesday Bruno Rost of Experian will be online between 1pm and 2pm to take your questions about the data. 6.17pm: We've just published Amelia Hill's longer read on people at risk of falling into poverty. One of the people she speaks to, Laura, is a single parent and civil servant with take home pay of £18,000. There's some discussion below the line on whether households on the "cliff edge" are "really" in poverty, but Laura illustrates our thesis perfectly: they are not - yet. They are rather people at risk of poverty: people who live relatively frugally but find it increasingly difficult to make their income stretch to the end of the month. People will no doubt double-take (I did): a civil servant on the breadline? "It's like there's a conspiracy of silence: who would believe that a civil servant could be living below the breadline?" she asks. But Laura is doing exactly that. After her mortgage, utility bills and monthly shop are paid, every pound is tightly budgeted for: a Marks and Spencer curry is a occasional treat, a glass of wine an impossible luxury. Her salary is rarely enough. "I'm not 'poor poor' – I can afford to feed my son and myself, but I usually run out of money a few days before the next pay cheque comes in," she says. "And I mean I literally run out: I often don't have a single penny to spend for three or four days." Amelia goes on (you can read the full article here) to talk to the Charity for Civil Servants, a benevolent fund for civil servants who fall on hard times. Once, hardship funds like this catered mainly for the retired and vulnerable; but now the bulk (85%) of its grants go to beneficiaries in work, often with young families. I'll come back to the curious re-emergence of hardship funds on Tuesday. "The Guardian's findings should remind us of just how important it is that we have a strong social security system for families. But with the Coalition pushing through £20 billion of cuts to welfare, our social security system will fail to keep families out of poverty. The IFS have warned that a further 400,000 children will be in poverty by 2015, but as the economic situation worsens this may well turn out to be an underestimate. "Politicians often talk about people being poor because they've made the wrong choices in life. The truth is that six in ten poor children have a working parent - a child growing up in poverty is much more likely to have a parent who's a cleaner or a care worker than one who's an alcoholic, a drug addict or too lazy to work. "Despite all the 'work first' talk from politicians, it has never been properly matched by a 'jobs first' approach to prioritise job creation programmes in both the public and private sector. There simply aren't enough jobs, or enough hours of work in the economy. High levels of unemployment and now being compounded by a growth in underemployment, with 1.4 million people classed as underemployed who cannot get the full hours of work they want. "It's clear that the current approach is not working and time to ask again how it was that in 1946, with worse debt than we have now, our nation was still able to invest in creating the jobs and homes that were needed." 6.54pm: We've just published three detailed interview case studies which, in my view, really get to the heart of who is living on the cliff edge, and how they feel about it. They are, in my humble opinion, incredibly powerful. Counting every penny is exhausting and frustrating. My lack of job security is frightening. And all the time, the bills just keep going up and up. There's nothing left to cut costs on. Emma had a can of soup for dinner last night. But at the end of the day, we still have our pride. The second interview is with Danielle Michalitsianos, from north-east London. I feel ashamed that my children have had to live under the constant threat of poverty and have had to move home five times to avoid homelessness, but I work as hard as I can, and as many hours as possible, and I simply can't earn enough to move back from this cliff edge. I love my job and I think I'm paid a fair wage for it. But the cost of living makes every day a struggle. Rents and food costs are spiralling up and it makes me so angry – how can society have got to a place where a woman with a decent job and a good salary struggles to live and feed her children with dignity? I know the price of sweetcorn and tins of tuna in every shop in my neighbourhood. The third case study is of Nicola Probert and Tony Hodge from Bristol. It shouldn't be like this: we have both always worked and I feel really strongly that work should be rewarded. I don't want to rely on the state. For me, the last quote is especially significant. These are the very "hard working families" to whom the Coalition - and Labour too - make their pitch: work hard, play the rules and you will be rewarded. Will Nicola's bemusement that "It shouldn't be like this" turn to something more angry? We'll be following the fortunes of these three families over the next 12 months in partnership with the Resolution Foundation. We'll also be interested in their reflections on the causes, consequences and possible solutions to their predicament. Politically speaking, that could generate some powerful questions, as families on the cliff-edge begin to digest politicians' rhetoric about hardworking families and ask themselves: "How did we get here?" 7.19pm: Ok, I'm signing off for tonight. It's been a short live blog session today, but it'll be a longer one tomorrow, when we'll be looking at more detail at life on the poverty cliff edge. On Tuesday we'll look at some of the causes of working poverty, and some of the consequences, from the rise of Wonga to the boom in charity shops and food banks. We'll be holding a live Q@A between 1pm and 2pm. Our guests will be Bruno Rost of Experian (which crunched the "risk of poverty" data) and James Plunkett, secretary to the Commission on Living Standards at the Resolution Foundation. Later in the afternoon we'll be launching the second part of Breadline Britain: an investigation into the rising number of children arriving at school hungry. The comments should be on until 11pm tonight. Thanks for reading! A Sweeping Socialist victory in French parliamentary elections will allow the country to spend its way out of economic problems, the country’s Prime Minister has said. 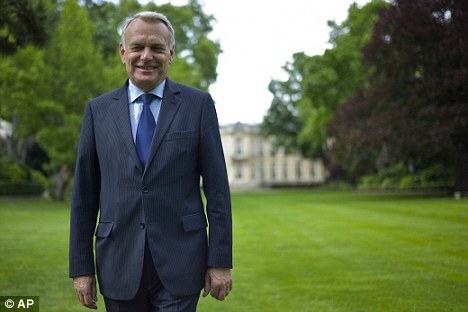 Jean-Mac Ayrault said the new government would quickly implement reforms including a cut in the pension age from 62 to 60 at a time when British workers are looking to retire well into their 60s. The pledge - expected to cost around 17 billion pounds a year - was made as President Francois Hollande flew to G20 talks in Mexico. And the anti-austerity agenda of the French is likely to cause jitters amongst European allies, including the UK and Germany. Both Hollande and Ayrault are confident that their huge domestic mandate – including an absolute National Assembly majority of more than 300 seats – will allow them to oppose budget cuts being demanded by Germany. Countries like Greece claim that a forced reduction in public spending is pushing them into deeper financial problems by suffocating growth. The biggest immediate problem is to work out France's 2013 budget, balancing Hollande's promise of major spending with vows to reduce the budget deficit to zero within five years. Millions of voters across France supported Hollande’s vision of injecting public money into European economies so as to stimulate growth. Hollande wants to raise taxes on financial institutions and oil companies, and to increase the top rate for those earning more than one million euros a year to 75 per cent. Meanwhile, there will be a vast increase in the number of public servants across France, with 60,000 new teachers hired. The conservative UMP party of former president Nicolas Sarkozy won just 220 seats in the new parliament, and lost a number of key Sarkozy allies including former Interior Ministre Claude Gueant. Many believe that they were punished by the electorate for moving increasingly to the far-Right as Sarkozy tried to win re-election in May. Their fierce anti-immigration agenda shocked many, with UMP leader Jean-Francois Cope saying he ‘took note of the left's victory’. 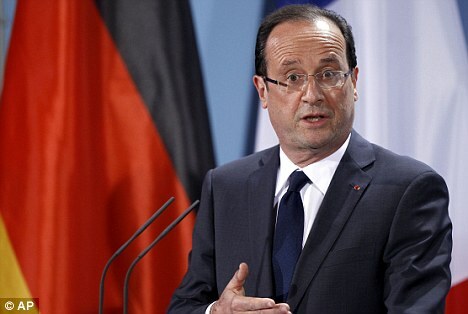 Despite his electoral success, Mr Hollande still has serious domestic problems to deal with. Segolene Royal, the mother of his four children, has vowed to take revenge against his new live-in lover following her own humiliating election defeat in the western town of La Rochelle. Ms Royal, 58, was set to become the new speaker of the National Assembly – one of the most powerful jobs in the country - if she won, but she lost when 63 per cent of the vote went to dissident Socialist Olivier Falorni. Falorni’s supporters included Hollande’s girlfriend Valerie Trierweiler, 47, who caused outrage last week when she tweeted her support for Falorni. A glamorous French politician has become her country's first ever 'MP for Britain' representing more than 100,000 Gallic voters living in the UK. Left-wing lawyer Axelle Lemaire, 36, has been elected to one of France's 11 new overseas seats - based in London's well-heeled Kensington. Britain is part of the 'third constituency' of northern Europe and 113,655 French voters are registered in the UK. Following her defeat, Ms Royal quoted the writer Victor Hugo saying: ‘Traitors always pay for their treachery in the end’. Today a devastated Ms Royal was being comforted by her four adult children – all of whom have pledged never to speak to Ms Trierweiler again. ‘Like many others, they have already had enough of Valerie Trierweiler’s viciousness,’ said a senior Socialist Party source in Paris. Despite her massive defeat, Ms Royal has pledged to stay in politics, and has not ruled out standing for the leadership of the Socialists. It makes sense, build a house, someone buys that house, then they will need to buy furniture, and fittings, a tv etc, it's us that has it wrong!!!!!!!!!! austerity will not work! Is Hollande related to Gordon Brown ? Borrow, spend, default, exit Euro, re-introduce Franc, devalue, bankruptcy, civil war. There is a fundamental flaw in the grand plan. Socialist spend ups always end in tears. UK, Ireland, Greece. Hollande will end up trying to tax anything as his grand spend account runs out of cash and credit becomes to expensive. So France is spending 17 billion pounds spent on lowering pension ages. And we just spent another 120 billion bailing out yet another bank. Which is better? Think of this, if people retire their jobs will become available for the young people, who can fill them more cheaply. There's only a finite number of jobs, so why force people to work longer? The Financial Times has exceeded the one million followers milestone on Google+. The news outlet with a metered subscription service online has more than double the number of followers of the New York Times and five times the number that the Guardian has acquired. It is almost a year since the launch of Google's social network, with the Financial Times creating a page in November, when organisations were granted the ability to have a Google+ presence. On Saturday (16 June) the FT thanked its one million followers on Google+ as it reached the milestone, a post which at the time of writing had generated 64 comments indicating the level of engagement. According to a blog post on the Financial Times, "Google+ is much more than a social network" as it gives the "ability to personalise content to specific audiences based on what users are interested in". In the post the news outlet states that "this platform is an important new communications channel", with search facilities and hangouts, the chance to include the audience in debates. Earlier this month the FT said it is looking at ways to allow those with a subscription to the news outlet to login and read the digital publication from social reader apps such as Flipboard and Zite, enabling its audience to read the FT on their platform of choice. In today's blog post on the importance of Google+ as a platform, the FT states that it "also wanted to create additional touch points for our readers, allowing them to read FT content where and how they choose". The post continues: "In developing its Google+ page, the FT opted to emphasise captivating content and exclusive reporting. As early adopters quickly took to Google+, it might have been easy to focus on highlighting tech and digital content on the platform, but the FT has gone far beyond this remit, sharing a wide variety of content from correspondents around the world and has seen a strong response. "Part of the social media team’s strategy has also been to play up to the highly visual nature of the platform and rich-media content such as videos, images and infographics have proved particularly successful."